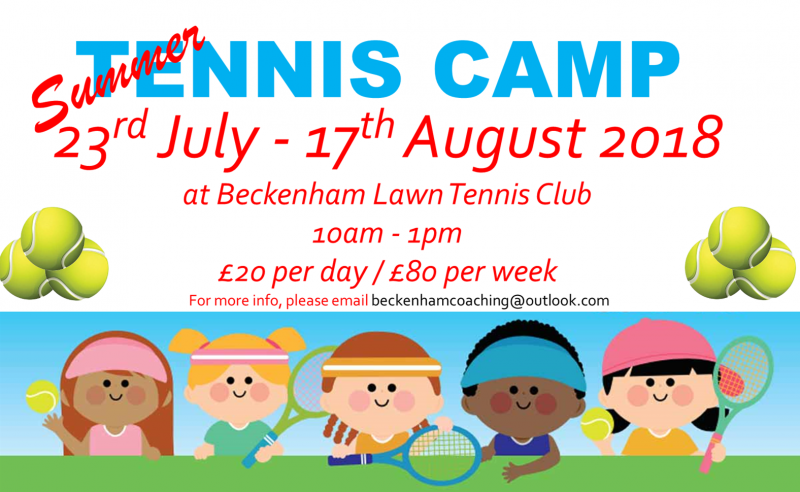 Beckenham Lawn Tennis Club is running it’s annual Summer Tennis Camp, starting on Monday 23rd July until Friday 17th August. Players will be split into age/ability relevant groups and each day the players will work on new shots, as well as match play and other fun activities. The sessions will run from 10am – 1pm and are available to book on a daily or weekly basis.